One of the most challenging experiences users have after purchasing a new computer is transferring their personal files, email, data files, media, and settings from their old computer to the new machine. This process can be so complex, time consuming, and daunting that people frequently request help from friends or relatives, and some never succeed in getting all their important data onto the new computer. USB Easy Transfer cable. 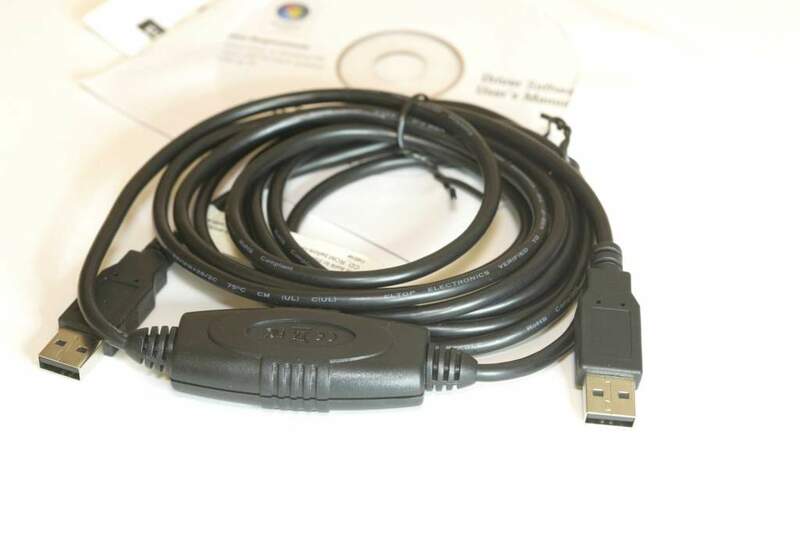 This is a special USB cable that is designed to work with Windows Vista, Windows 7 and Windows Easy Transfer. Windows Easy Transfer enables users to transfer their data to Windows based computers from computers running Windows XP, or Windows Vista or Windows 7. New Software for Most OS.